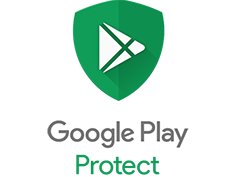 SafetyNet provides a set of services and APIs that help protect your app against security threats, including device tampering, bad URLs, potentially harmful apps, and fake users. When SafetyNet spots a change on a system partition, it will trip. Because of Android’s new SafetyNet system, certain apps can now block rooted users or prevent you from accessing them altogether — but at least for now, there are still ways around these restrictions. You can pass most of SafetyNet’s checks with Magisk and systemless root, but Google’s Compatibility Test Suite (CTS) remains a hurdle in some cases. With certain setups, you’ll still get a “CTS Profile Mismatch” error that causes the SafetyNet check to fail, even with Magisk installed. Usually people who are using root, just need to unroot in order to pass the check, but when using a Custom ROM there is more hassle. Disabling the root doesn’t revert the changes which have been made compared to the official firmware thus it will trip the SafetyNet. So Magisk is the easy way out solution. You can check the SafetyNet status of your device by downloading an app like SafetyNet Helper Sample or SafetyNet Playground. The app will ask Google’s SafetyNet service about your device’s status and tell you the response it gets from Google’s server. Snapchat is a mobile messaging application used to share photos, videos, text, and sketches. Basically it’s an instant photo sharing and chatting app which allows also sending video snaps in addition to photo ones. There are also really cool interactive lenses and filters which make Snapchatting really cool compared to other social apps. App itself is free of charge and free to send text messages using it. It has become hugely popular in a very short space of time. Especially with younger people. Which makes it really unique is that after 10 seconds your snap will gets destructed in Snapchat servers after being viewed by a recipient. Snapchat boasts of 50 million daily active users. Snapchat is available for both iOS and Android. Due to security concerns, the app refuses to work with rooted Android smartphones. At least officially, it does not. But there’s almost next to nothing that you can’t do on a rooted Android smartphone. Snapchat being included. Safetynet is the root of the problem. What Magisk basically does is: modifying boot image and adding files to /data and /cache partition. It is called systemless for a reason. Because it doesn’t even leave a trace on your system partition. Everything is done by patching ramdisk and adding respective files to the “data” partition.